It is officially Banned Books Week. Check out the most challenged classics or The 2009 hot list or ten ways to celebrate. Did any of your favorites make the list? The challenged classics is just silly--most are on my must-read shelf. 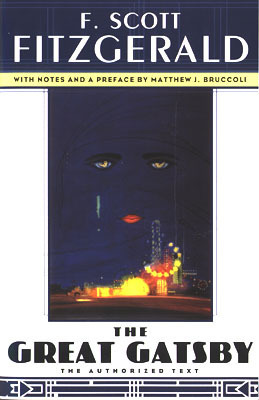 But I want to give a shout out to The Great Gatsby for being #1 (if you aren't first, you're last). Guide to Literary Agents explains chic lit. Pimp My Novel dishes on the shareholder vote for Barnes & Noble. BookEnds talks small press vs. agent. Dystel & Goderich reveals the curse of trade paperback. Social Media Today lists nine ways to build a twitter community. Janet Reid says you might want to hop on the twitter. BookEnds tells how to work social media. Blood Red Pencil gives ten ways to get the most from a writer's conference. Kidlit offers some tips for talking to agents and editors at conferences. PubRants explains why the agent needs passion for your project. Tahereh gives insight on the ten phases of rejection. (I'm at the seventh rejection right now.) The Blood Red Pencil lists 25 reasons your submission is rejected. Adventures in Children's Publishing shows how to write with GMCT (goal/motivation/ conflict/tension). Kidlit helps define setting. Stet explains the three C's to writing your first page. Writer Unboxed fights obsessive compulsive editing disorder. Worldplay says don't overuse names in dialogue. WIP It helps create compelling characters. John Rudolph of Dystel & Goderich.